We follow the European tradition of putting our heart into our painting. Laszlo has only one rule for any painter who works for LH Painting, "When you look at your finished work, you would want it to be part of your own home." To achieve that level of quality, the priority has to be the preparation, an uncompromising attention to detail. And if our decades of experience has taught us anything is that such quality is the least expensive paint job you can get. Not just because it will last longer, but because the painters know exactly what they are doing and only have to do it once. Lastly, we know what it's like to have a home disrupted by paint and dropcloths everywhere. That is why we arrive when we say we will, we work fast while we are there, and we are done when we say we will be done. 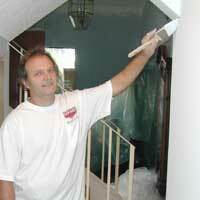 Only painters with years of experience can keep those promises.